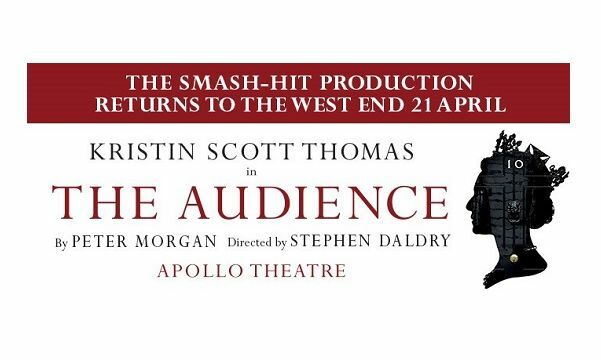 Kristin Scott Thomas plays The Queen in the revival of Peter Morgan’s new play The Audience at London’s Apollo Theatre. As queen for sixty years, Elizabeth II has met each of her twelve Prime Ministers in a weekly audience at Buckingham Palace – a meeting like no other in British public life – it is private. Both parties have an unspoken agreement never to repeat what is said. Not even to their spouses.